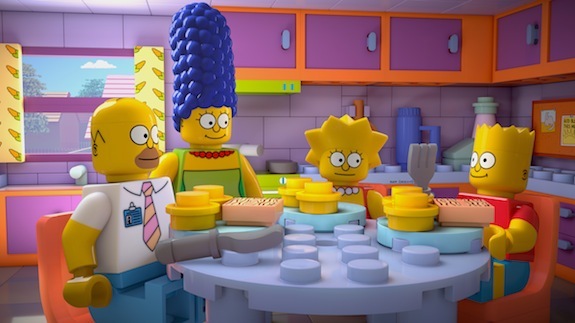 For its astonishing 550th episode, THE SIMPSONS Lego-ized itself. It's incredible to do something so wholly unique more than two decades in, but the episode worked, as Homer was feeling dejected after Lisa went to see a movie with friends instead of building a Lego Springfield with him, and getting knocked unconscious once she was gone -- and ending up in a Lego version of his world. Technically, it worked because it was so freaking cool to see Springfield Lego-ized. Emotionally, it worked, because the show has often showcased the difficulty for Homer and Lisa to relate to each other, and when they do click and it gets taken away from them, they often go to weird (or desperate) places to maintain it. (Such as "HOMR," where Homer temporarily became smart after a crayon was removed from his brain.) The show could have easily played with the gimmick of the Lego world versus giving it a story of substance as well, but it did, and it gelled well.